As we head into the final three days of the winter transfer window Manchester United continue to be linked with a number of players. Following the signing of Alexis Sanchez from Arsenal last Monday we have been linked with several central midfielders. 36-year-old Michael Carrick is widely-expected to leave Old Trafford when his contract ends in the summer, whilst Marouane Fellaini has strongly been linked with a move away from the club. Whilst Nemanja Matic and Paul Pogba have been regulars in central midfield this season, Jose Mourinho switched to 4-3-3 formation in our FA Cup win at Yeovil Town on Friday night. Therefore the future formation for us could include three central midfielders, giving a need to sign another option as early as this month. Mourinho does have Ander Herrera on the books but I don’t see the Spaniard being in the boss’ long-term plans, whilst Scott McTominay is still young and inexperienced. 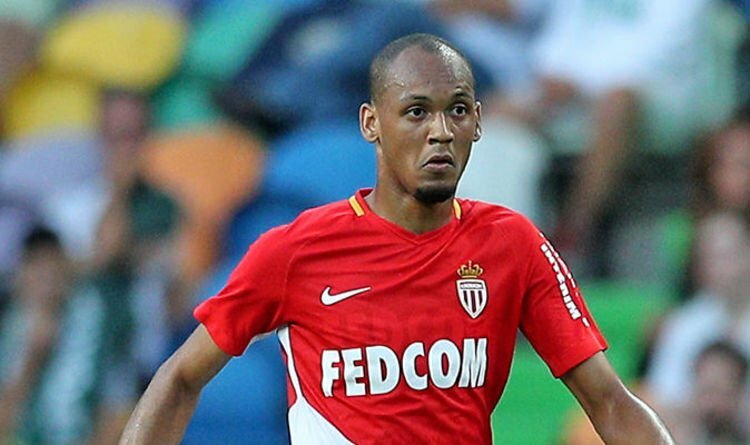 One player that we have been linked with in recent months is AS Monaco’s versatile player, Fabinho. The Brazilian international initially started as a right-back following his arrival from Rio Ave in 2013 but has since switched to holding midfield where he has played all 21 of his Ligue 1 games this season. Fabinho has now issued a come-and-get-me plea to potential suitors by saying that he is ready for a “new challenge” at a bigger club. “If a move to a new league or a club with a bigger structure and bigger expectations, I would be interested. “My time with Monaco was good, but I feel my time here is coming to an end. “I know that the club’s vision is to try to finish second and qualify for the Champions League, without counting on big-name players, but on young players. After surprising many in winning the French Ligue 1 title last season and reaching the semi-finals of the Champions League, AS Monaco became a selling club over the summer. Leonardo Jardim’s side lost first team players Bernardo Silva (Manchester City), Nabil Dirar (Fenerbahçe), Valère Germain (Marseille), Abdou Diallo (Mainz 05), Tiemoué Bakayoko (Chelsea), Benjamin Mendy (Manchester City) and Kylian Mbappé (loan to Paris Saint-Germain) in the last transfer window. This month Monaco have also lost Terence Kongolo (loan to Huddersfield Town) and Guido Carrillo (Southampton). Could Fabinho be the third? The 24-year-old is a very intelligent footballer who is good at anticipating opposition passes to intercept them. Fabinho is also a good tackler, throws himself in front of shots and is competitive in aerial duels. He has also chipped in with two goals and three assists in the league this season. Monaco vice-president Vadim Vasilyev also told Sky Sports News back in October that they would consider selling the two-time Brazilian international next summer following “strong” interest from both Manchester United and Manchester City in the previous transfer window.